USB Charging Port: Works with iPhone, Android and more. Clip it Anywhere: So it's there when you need it! 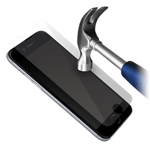 Protect your iPhone glass screen from getting cracked. Experience a new and effortless way to charge your iPhone.